Like our minds, the enews during winter retreat quietens down. Every day appears pretty much the same, at least outwardly. Inside, however, each retreatant is working hard to purify their mind and cultivate the aspiration to be free from cyclic existence as well as develop love, compassion, bodhicitta, and wisdom. Take a look at who is participating in the one-month retreat. 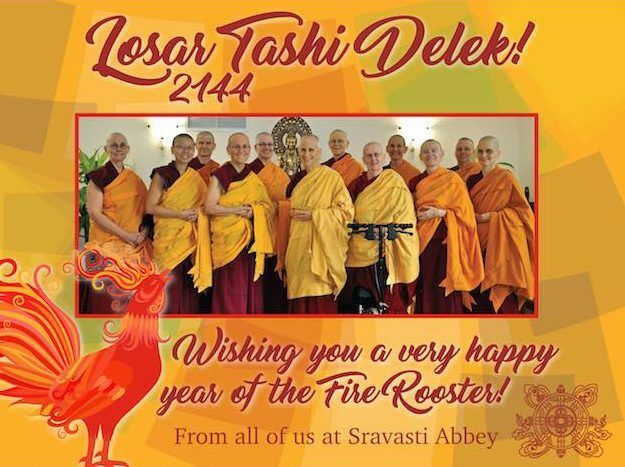 We wish you a belated Happy Tibetan New Year; Losar was February 27. Each year, people come from all over, nationally and internationally, to participate in the Winter Retreat. The diversity is wonderful and we’re all united in our spiritual yearning, aspiration, and determination. This year’s group of 27 participants is special—it’s one of the most diligent groups we’ve had for the one-month retreat. 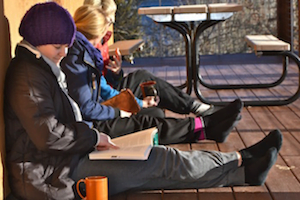 See the photos as Winter Retreat begins. The Meditation Hall is very quiet; even a few of the sangha members have commented that they move their legs more than the guests do! We haven’t had to remind people about silence at meals and during break times. Everyone respects that this is a silent retreat and appreciates the time and space it provides for deeper reflection. Each day begins with meditation, followed by breakfast and two more meditation sessions. Before lunch, we have a Bodhisattva’s Breakfast Corner talk three days each week. 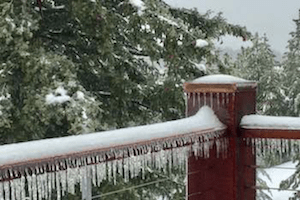 There’s a break after lunch when retreatants take walks or shovel snow, depending on the weather. This is followed by another meditation session, a study session, medicine meal, and more meditation. 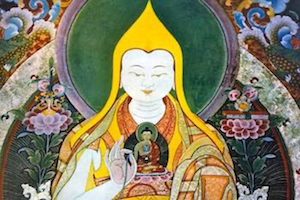 Our Thursday evening teachings on Nagarjuna’s Precious Garland and Friday evening teachings on the Gomchen Lamrim continue, as does our weekly class with Jeffrey Hopkins. 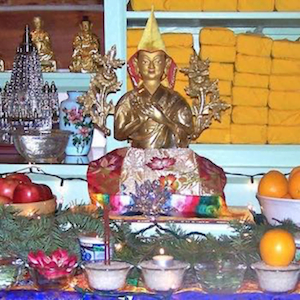 Listening to teachings while in retreat is special—the mind is quieter and can take in the teachings better. In addition, there is more time to review our notes and reflect on what we have heard. Our monthly cycle of pujas and Vinaya rites also continue during retreat. We offer tsog twice a month, do Tara puja once a month, and hold the fortnightly posadha, the purification and restoration of our precepts. See additional photos of time in solitude. Rebecca, one of the retreatants, wrote about reaching her potential, a topic that comes up for contemplation during retreat. We also welcome 213 practitioners who are doing the Retreat from Afar, including 100 incarcerated people. We’re blessed by the generosity of all of you who donate to the Abbey’s food fund and by the practical support of the local Friends of Sravasti Abbey. Snow or shine, they bring a food offering to the Abbey every week. We dedicate our prayers and merit for you as all of us together work to create peace in a chaotic world. At the end of retreat, many people wanted to renew their refuge and precepts or take new precepts. Two of our local practitioners, Sean and Matthew, joined the ceremony, taking refuge and the five precepts for the first time. We rejoice in their dedication to ethical conduct! On the last day of the retreat, we had a go-around where each person shared their experience. As always, this was moving. The group had bonded closely by living and meditating together in silence for a month. Each of us learn a lot from the others in the group. The guests again expressed their gratitude for being able to live and practice together with the monastic community. We also showed the guests a video that the Abbey residents made some months ago in an effort to convince Ven. Chodron to let us build her a proper cabin to live in. She loves her present cabin where she’s been for 12 years, but it doesn’t have running water, which presents some challenges, especially in the winter. So on the last day of retreat, we also had a “cabin construction ceremony,” in which we generated a good motivation for constructing the residence and chanted om mani padme hum while Ven. Chodron signed the contract with Eric Wagoner Construction. On February 27, all the one-month retreatants departed. We rejoice at their participation in the retreat and wish them all the best in their Dharma practice as they bring what they have gained here at the Abbey out into the world. Meanwhile the Abbey community and two international guests will continue with retreat for another month. 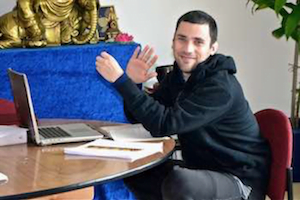 We welcome you to join us at the next Sharing the Dharma Day on April 2, which will also celebrate the conclusion of the two-month retreat. When Ven. 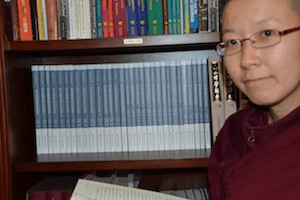 Damcho found out Longquan Monastery in China had printed new editions of the Eight Great Books of the Nanshan Vinaya , she wrote to ask if they would send a set of the 32 texts to the Abbey. These texts discuss monastic discipline in great detail and have been studied for centuries. 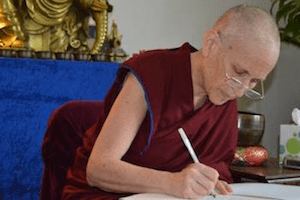 Read more about the gift of Vinaya texts. As you know, the Abbey exists solely in dependence upon people’s generosity. 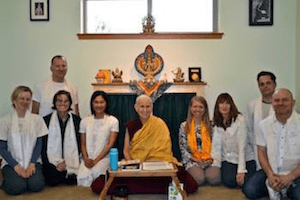 “The Dharma is priceless and we, the lay followers with so much dust in our eyes, cannot ever do enough to repay the kindness, compassion, and sacrifice of the Sangha who commit their lives to learning and practicing the path as laid down by the Buddha. Through their experience, they encourage, inspire and guide us on the path of Peace and Happiness in an otherwise crazy world of clinging—of greed, hatred and delusion. This pure motivation touched our hearts deeply; it is of greater value than all the money in the world. Al, an inmate in North Carolina, shares his reflections on illusion and liberation. At the Abbey, we talk about animals a lot. Here is Ven. Damcho’s morning motivation about frogs. Tracy Simmons, editor of an online site about religion, wrote about Ven. Chodron receiving the Global Outstanding Bhikkhuni Award. Adrianna wrote us, “Just want to share with you something that is positive about what a community is doing to embrace diversity. I am very proud of my community in Harrisonburg, Virginia . . . I love the multi-cultural, multi-religious, multi-racial community in which I live. Wish everyone could experience and embrace this with loving kindness to all. Read about it here. The Tibetan Women’s Empowerment Conference just concluded. Read about it here and here. For those of you who understand Tibetan, listen to His Holiness the Dalai Lama here where, addressing the women at the conference, he says that gender equality must come through learning and education. Enjoy these pictures of the yearly Monlam ceremony at Gebchak Nunnery high in the mountains of Tibet.